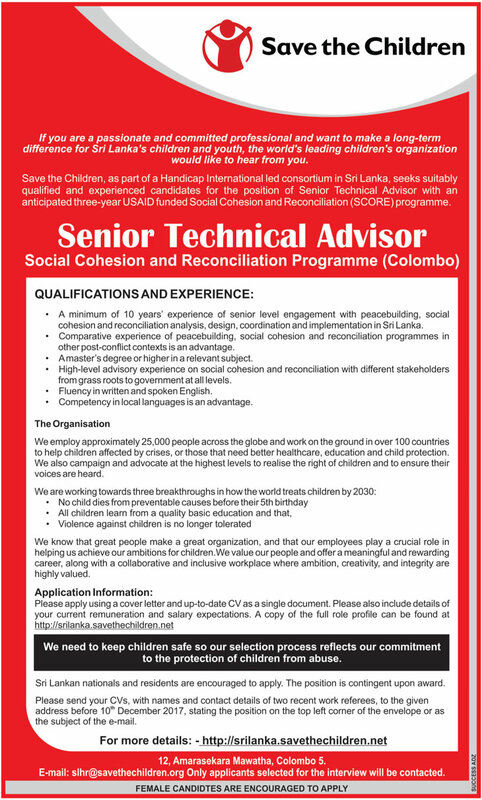 Save the Children, as part of a Headicap International led consortium in Sri Lanka seeks suitably qualified and experienced candidates for teh position. * A minimum of 10 years experience of senior level engagement with peacebuilding, social cohesion and reconciliation analysis, design, coordination and implementation in Sri Lanka. * Comparative experience of peacebuilding, social cohesion and reconciliation programmes in other post conflict contexts is an advantages.